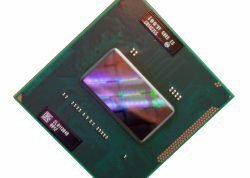 Intel is shipping fixed chipsets after discovering a chip design flaw affecting the latest Sandy Bridge Intel Core processor. Intel admitted last month (January 2011) it had discovered a design flaw in the Intel 6 series chipset, code-named Cougar Point. The 6 series support chip is used in PCs with Intel's latest Intel Core processors, code-named Sandy Bridge. An Intel spokesperson confirms the company is now shipping a fixed 6 series chipset to all customers who request it, including system manufacturers, OEMs and ODMs. The company previously "implemented a silicon fix", which meant existing motherboards would not work without physically changing the chipset. Several manufacturers, including Dell, Packard Bell, HP, Lenovo and Toshiba recalled PCs earlier this month. The flaw affects the Serial-ATA (SATA) ports within the chipsets, which Intel said may degrade over time, potentially affecting the performance or functionality of SATA-linked devices such as hard disk drives and DVD drives. Intel was forced to lower its sales forecast by $300m (£187m) for the first quarter of 2011 as the company stopped shipments and began manufacturing the new version. Intel has said it is working with partners to ensure computer makers and other Intel customers with affected chipsets or systems receive the necessary replacements for motherboards or systems.